‘Castle’ star Stana Katic carries Jill Milan’s Holland Park Clutch to ‘Game of Thrones’ Season 3 Premiere at TCL Chinese Theatre in Hollywood. “Stana looked as lovely as ever for the premiere, and we are so pleased she again chose to carry a Jill Milan clutch,” said Jill Fraser, co-founder and CEO of Jill Milan. Jill Milan®, a provider of designer Italian handbags, today announced actress Stana Katic carried the luxury brand to the “Game of Thrones” Season 3 premiere in Hollywood Monday night. Ms. Katic, star of ABC’s crime drama series “Castle,” carried the Jill Milan Holland Park Clutch as she arrived on the red carpet at the TCL Chinese Theatre. Ms. Katic previously carried Jill Milan’s 450 Sutter Clutch to the 2013 Film Independent Spirit Awards. She has starred on “Castle” since the series premiered in 2009 and has appeared on other television shows such as “CSI: Miami,” “Heroes,” “24,” “ER” and “The Shield.” Ms. Katic’s movie appearances include the James Bond franchise’s “Quantum of Solace” and spy film “The Double” starring Richard Gere. The Jill Milan collection is made entirely in Italy, by Italian artisans using Italian fabrics. Details include hand stitching and handmade palladium-coated hardware, and metal-based bags are handmade by a craftsman who creates jewelry for Europe’s leading luxury brands. All Jill Milan products are free of leather, fur and other animal-based materials. Other celebrities who have carried Jill Milan on the red carpet include two of February’s Academy Award recipients. Anne Hathaway, winner in the Best Performance by an Actress in a Supporting Role category for her performance in “Les Miserables,” has carried Jill Milan to many events, including premieres in New York and London for her films “Les Miserables” and “The Dark Knight Rises.” Jennifer Lawrence, winner in the Best Performance by an Actress in a Leading Role category for her performance in “Silver Linings Playbook,” carried the Holland Park Clutch and the Art Deco Clutch to events leading up to January’s Golden Globe Awards. Jill Milan handbags have been a consistent choice by celebrities for red-carpet appearances. Eva Longoria carried the brand’s Pacific Heights Clutch to January’s presidential inauguration, and was one of the earliest Hollywood celebrities to carry Jill Milan when she carried the Art Deco Clutch to the “Desperate Housewives” wrap party last year. Actress Kerry Washington carried Jill Milan’s Holland Park clutch for Berlin and London premieres of her film “Django Unchained.” Singer Carrie Underwood carried the Jill Milan Holland Park Clutch to the CMT Artists of the Year awards in December, and in November she attended the American Music Awards carrying the 450 Sutter Clutch. Actress Rachel Nichols carried the 450 Sutter to the premiere of her movie “Alex Cross.” Isla Fisher, who will appear in the upcoming film "The Great Gatsby," carried the Jill Milan Art Deco Clutch to the New York premiere of her film "Rise of the Guardians.” Other Hollywood personalities who wear Jill Milan include actress Fiona Gubelmann of television’s “Wilfred” and Countess Michelle Czernin von Chudenitz, who both are seen frequently in red carpet appearances carrying evening clutches from Jill Milan. Jill Milan handbags have caught the attention of fashion media in recent months. W Magazine featured the Holland Park Clutch in its September issue and the 450 Sutter Clutch in its September trends supplement. 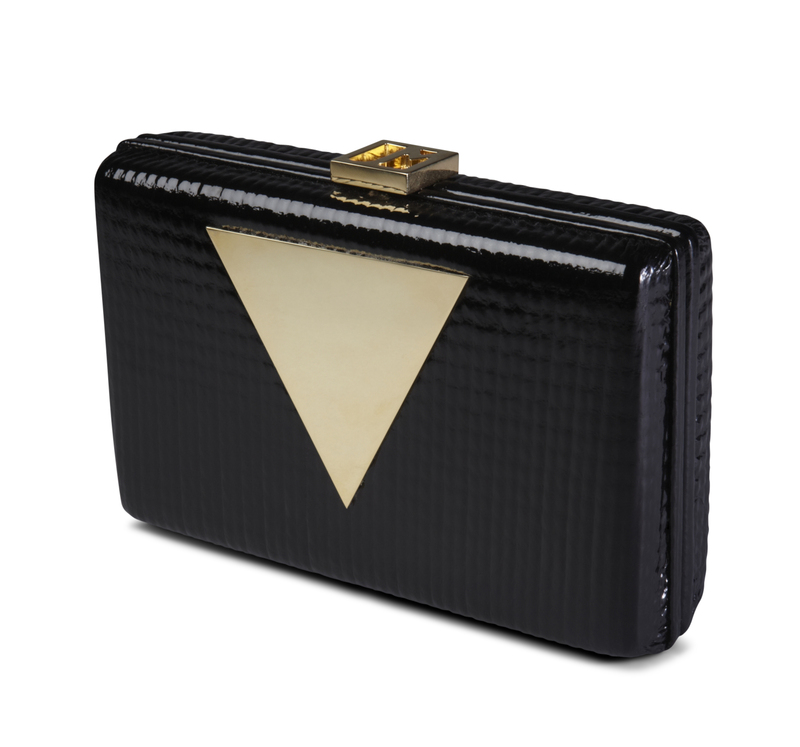 W also highlighted the Art Deco Clutch in its April issue’s “Most Wanted” feature. The Zoe Report recognized the Newbury Street Portfolio for its ability “to go from the office to cocktail hour.” Wedding media publisher The Knot featured the Art Deco Clutch as part of a striking ensemble in its Winter 2012 Weddings Magazine. Influential fashion blog Wendy’s Lookbook featured photos of fashion writer Wendy Nguyen carrying the Art Deco Clutch on her trip to Florence, Italy. Jill Milan and the Jill Milan logo are registered trademarks of Jill Milan LLC, and are protected by trademark laws of the United States and other countries. Oscar and Academy Award are registered trademarks of the Academy of Motion Picture Arts and Sciences. All other product and company names are trademarks or registered trademarks of their respective companies.